Posted on December 24, 2015 at 1:41 pm. Regarded as a fun outdoor activity practised by A-list celebrities and health gurus worldwide, Stand Up Paddleboarding has become a phenomenal sport in today’s world. It’s easy, muscle groups of the body while being friendly to people of all ages. 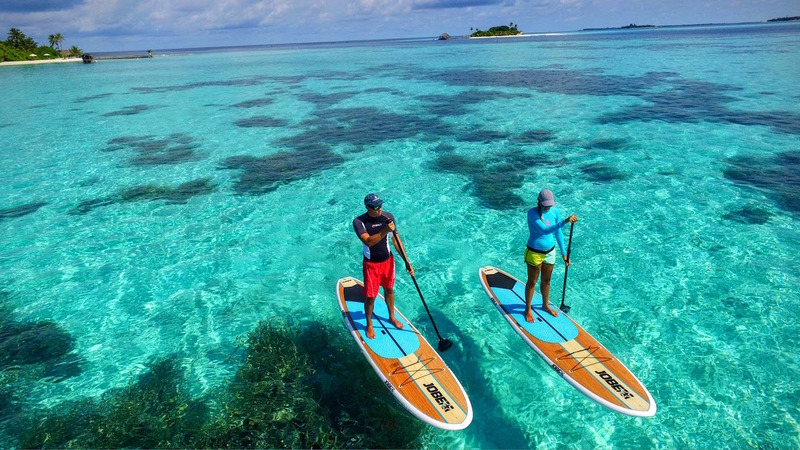 Maafushivaru is pleased to offer this experience on the resort premises now with brand new SUP boards available at its water sports centre. Measuring 11 feet, the JOBE branded SUP boards offer seamless travelling with its ergonomic creation. 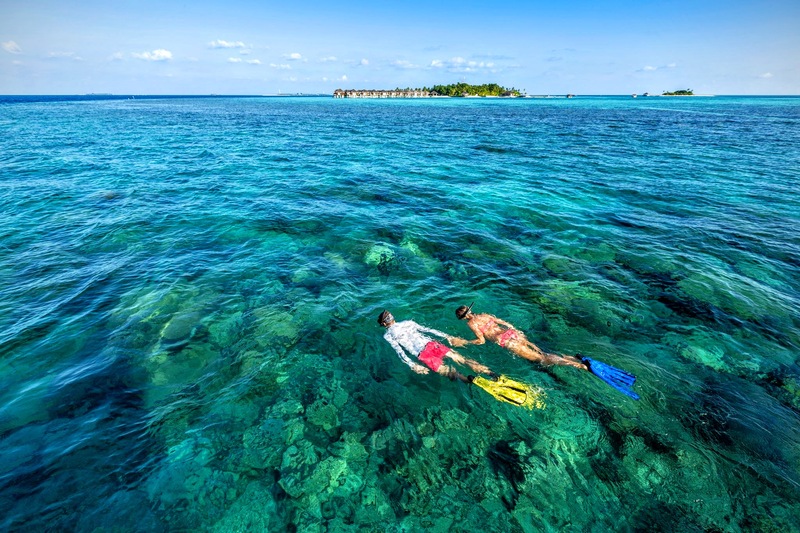 You could easily pop in a dry pack filled with water or your camera as you paddle gently along the reefs of Maafushivaru and Lonubo. We cannot encourage you enough to try this outdoor activity as it’s a great way to work out, while having fun, and best of all, it gives you amazing vistas of the underwater world below.